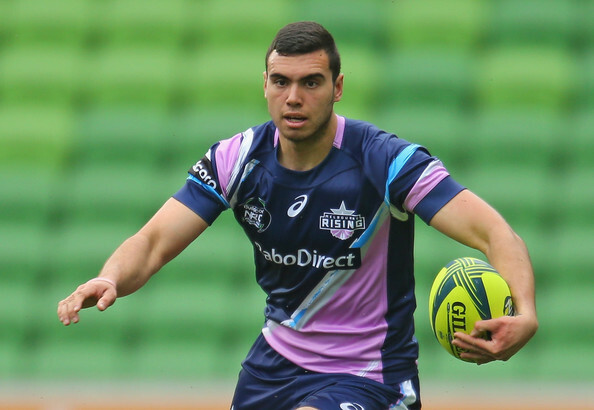 The Melbourne Rebels head into their Good Friday clash with the Queensland Reds desperate for victory at a ground they have not won at since Good Friday 2014. The Reds and Rebels don’t have a whole lot in common. Despite this the last two weeks have seen both sides lose to the Lions in a game they should have won. For the Reds it was poor execution in their attacking half after the hooter that let them down, while the Rebels combusted in what was arguably their worst performance ever. After beating the Crusaders away from home it is fair to say that my hopes were high for the Rebels in 2015. Now the calendar is ready to flip into April, we’re 2-4 and need a lot to fall our way to secure our first finals appearance. To be any chance we need to win on Friday night. In the last two weeks we have played some of the most fluent rugby I’ve ever seen from a Rebels outfit. In that time we’ve only scored one try. Simply not good enough. Another lackluster performance on Friday and the scene is set for the rest of the season – disappointment as we try to fight ourselves out of a hole we shouldn’t have been in to start with. A win going into the bye week offers a glimmer of hope as we travel to Canberra to take on the Brumbies (a team we have always given trouble), followed by a clash against the Waratahs (another team who are having a slower 2015 than anticipated) , before returning home against the Chiefs in the first week of May. Anything less than 3-1 over this period is unacceptable and we must kick into gear on Friday night. Being the optimist that I am it’s easy to say that I know what I’m in for on Friday night. History tells me the Rebels are going to lose by two converted tries, but history doesn’t matter. I honestly believe the 2015 crop of Rebels are a different proposition for their opponents. The two faces that I have been impressed by the most this season are Jack Debreczeni and Lopeti Timani. Debreczeni has stood out because he has shown consistent glimpses of his NRC form, while Timani has a great case of try-line fever. The closer he gets to the try line the faster I’d be moving out of the way if I was on the other side of the ball. Sadly though the efforts of two are reduced by the all-too-frequent shortfalls. It was on show again against the Hurricanes where we went into the break with a lead and might as well not have come back out after the half time oranges. So what do we need to do against the Reds to get our season back on track? Use the ball we have. It seems simple, but if you hold the ball for 7+ phases and don’t do anything with it you aren’t going to win. The Rebels have been guilty of this on countless occasions in the last fortnight, all to often when they are within ten metres of scoring. I have no doubt this is going to be a focus on the training track this week and I look forward to seeing the results on what will hopefully be a very Good Friday at AAMI Park. This entry was posted in Published on xavierplayer.com, Written and tagged Melbourne Rebels, Rugby, Super 15. Bookmark the permalink.